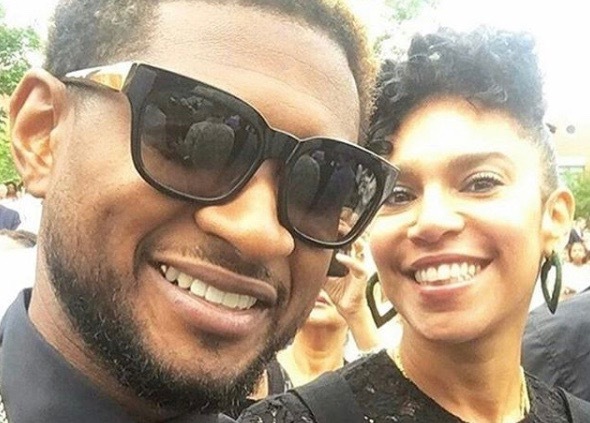 In what may not come as a surprise, Usher and his wife, Grace are calling it quits just months after the singer was rocked with various claims that he willingly slept with several women and one man, while knowing he allegedly had herpes. Usher and Grace Miguel are separating on the heels of multiple allegations and lawsuits claiming he’d given multiple people herpes. They did not mention the big D, but it’s pretty clear they’re headed for divorce. They were still together as of December, but they’ve been keeping a low profile since then. Far as we know … no divorce docs have been filed yet, but seems like it’s just a matter of time. Sad news! This is Usher’s second marriage, his first to Tameka Foster lasted from August 2007 until 2009. We’re hoping Usher can put the drama from the lawsuit and his separation behind him, and make another classic album that fans have been begging for.